Your home's exterior looks bare without some plant life livening up the foundation and surrounding yard. Looking past these common areas to the windows is another step toward a completed décor that thrills both residents and visitors. Window boxes perched on a bracket or shelf are perfectly shaped for a grand garden. However, you might wonder which flowers are best for window boxes. Explore your choices of plants so that your exterior has a unique look year-round. 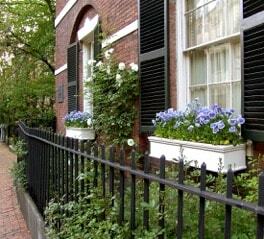 What flowers are best for window boxes? You have countless options in the plant world as long as the roots are happy in shallow soil conditions. The other consideration is lighting. Your window is a fixed spot on the structure. It either receives a lot of sunlight or remains shady for most of the day. Observe your chosen window for the light conditions. Select only plants that thrive in those optimal conditions. Improperly chosen flowers will wilt or fail to thrive with too much or too little light. 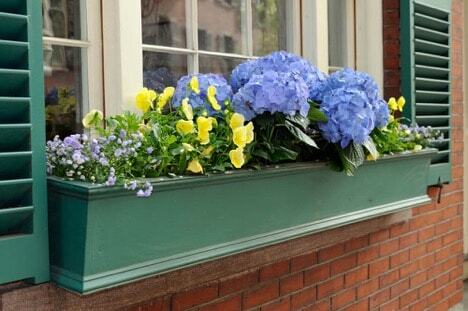 A pop of color is how trailing plants in a window box will enhance your décor. Pick out creeping jenny, red chenille and purple verbena as your chosen plants. The red, yellow and purple flowers complement each other as the plants’ detailed foliage trails down. Mix up the plants within the box to create a rustic look. As an alternative, carve out three planting areas to keep the colors separated. Your garden can be as neat or as wild as you please. Prune out the declining flowers and leaves over time so that there's always a fresh look to the box. For those incredibly hot windows, try cacti and succulents. You might associate these plants with just spines and slow growth, but they create spectacular flowers. Succulents tend to flower more often, so pick out several varieties, such as jade or hoya plants. Both tiny and large flowers will dot your window box, and the plants will be able to withstand some of the hottest conditions around. Simply keep the soil well drained to avoid any rot. Flower boxes are closely associated with spring and summer, but there are autumn plants that make an impact too. Pick out your favorite mums with orange or yellow hues. Purple asters work well with mums also. These flowers, however, are relatively short in stature, with little variation to their foliage and shape. Give the box extra personality by adding in ornamental kale and gourds. The leafy kale has intricate foliage that provides a background for the asters and mums. Accenting with gourds simply brings in the beauty of fall as the light changes over the months. Creating a window box with basil and thyme is a traditional choice. However, these boxes don't typically have flowers. Consider unusual herbs that also provide a flowery appearance. Rosemary creates blue flowers, while salvia may have violet, red or pink blossoms. Lavender is another plant to try because it has an intoxicating scent. Think about the herbs that you use in the kitchen on a regular basis. Mix up flowering herbs with foliage that's still useful for cooking, such as rosemary. 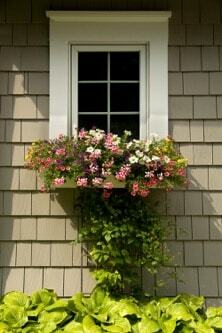 Window boxes can be both functional and beautiful at the same time. 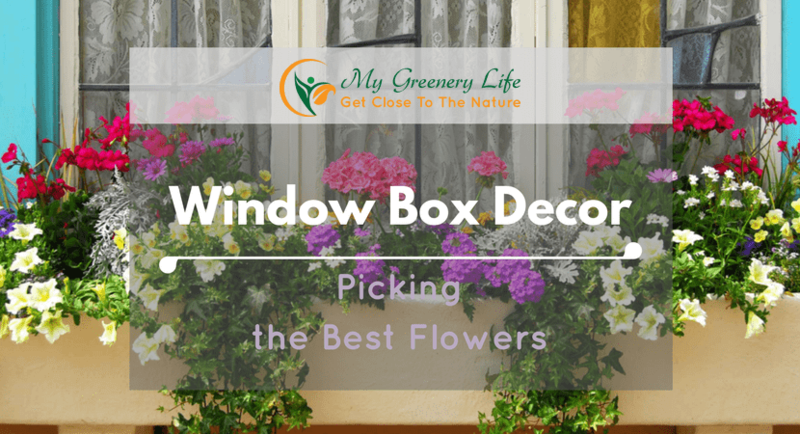 What flowers are suitable for window boxes? There are countless choices, so a trip to the local nursery may be in order. Consider traditional selections, but be aware of plants that pique your interest. If your eyes are drawn to a certain flower species, use it in your garden. Visual impact is at the heart of decorating your home. Flower boxes are just the start of your decorating success.